November | 2012 | That Was an Accident! Thoughts: I almost called this the “Packrat” outfit, but then I decided that SRS LOOK deserves SRS NAME. Thermalix has been holding onto those shoulders for awhile, never quite sure what to do with them. 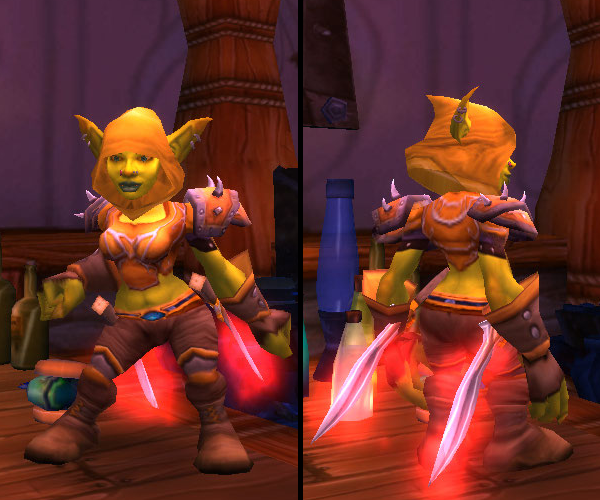 She’s also been holding onto the helm (“but what if I want to wear it sometime?”), the chest piece (“It’s a memento of all the times I suffered as a really ugly night elf”) and the belt (“Ok, so I totally don’t remember where I got it”). I’ve been debating questing for the Malefactor’s Eyepatch, which would match and have the added bonus of showing Therm’s cute hairdo, but for the time being Thermalix seems to be enjoying running around looking kinda eeeeevil. 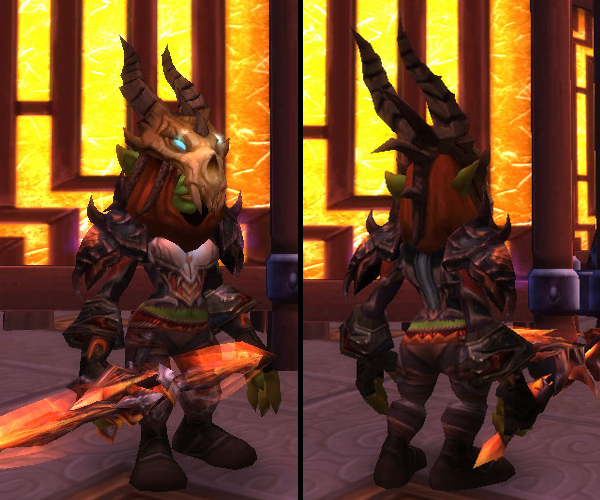 This entry was posted in For the Horde, Baby!, Goblins, Mail, Thermalix, Transmog, World of Warcraft and tagged breastplate of the queen's guard, goblins, hunter, mail, merciless gladiator's crossbow of the phoenix, oh the goblinity, spiderlord boots, thermalix, transmogging, ulduar legguards, valorous cryptstalker handguards, valorous cryptstalker spaulders, waistband of hexes, world of warcraft, wyrmstalker's headguard on November 24, 2012 by Prinnie Powah. You create a bank alt dedicated to the purpose of holding BoE transmoggable gear. You create and level a guild just to have a guild bank for holding BoE transmoggable gear. You make sure your gear is mogged by level 20 at the absolute latest. You feel forced to hide in crowds or in out of the way corners when sporting an obviously untransmogged, mismatched piece. 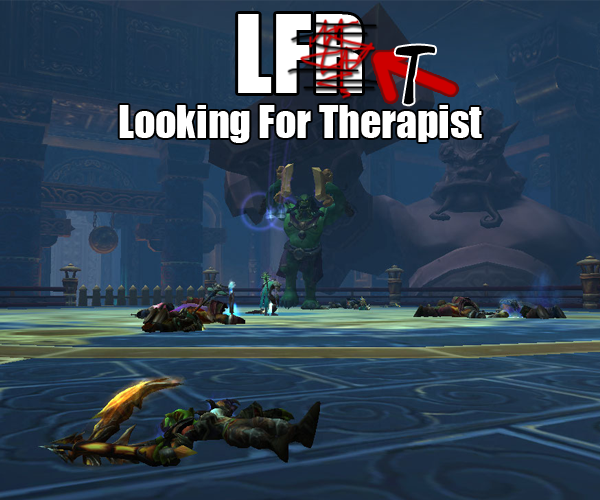 You need on loot for transmog. As a mage, the extra spirit on that gear is just a bonus. You obtain heirlooms, but not to level up faster. You’re just tired of constantly remogging the new gear you get while leveling. You have no problem trying to take on Naxx 25 for transmog gear with only one Windwaker monk and one really confused, normally Shadow but currently Disc priest. No problem, that is, until reality – and Patchwerk – sets in. Where you quest is not based on your level, but around desired pieces of transmog gear. You level alts specifically for the purpose of transmogging their gear. When in parties, you inspect people just to see what they have transmogged. You are rather horrified to see people wearing the exact same transmog set as you. 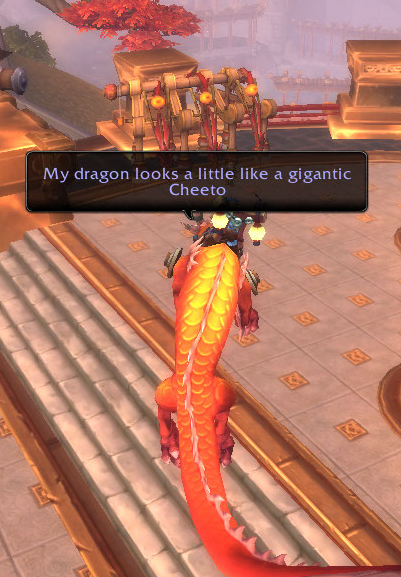 You run yourself into the ground running the same dungeon over and over for a piece of transmog gear. This entry was posted in OMGWTF, Transmog, World of Warcraft and tagged maybe someday will be better, oh the goblinity, that's probably not good, transmogging, world of warcraft on November 14, 2012 by Prinnie Powah.